Dark alternative artists Johnathan Christian have released their latest official single, “One Last Night.” The track is the most prominent release from the shadowy alt-rock group since their 2015 LP album, “The Nothing I Feel.” Like the rest of their contemporary repertoire, “One Last Night” has been proudly published as an independent release without the direction of the corporate music industry. Dark, driving, and evocatively danceable, “One Last Night” is the latest reason for fans of dark-wave styles to sit up and pay attention to this alternative music group from Stockholm, Sweden and Los Angeles, California. Until recently, Johnathan Christian were Johnathan Mooney (the New Creatures, New York City) and Christian Granquist (the Atom; Stockholm, Sweden). For their upcoming third full-length record, “Dark Hallways,” they have been joined by drummer and producer Tiger Koehn (also of the New Creatures). 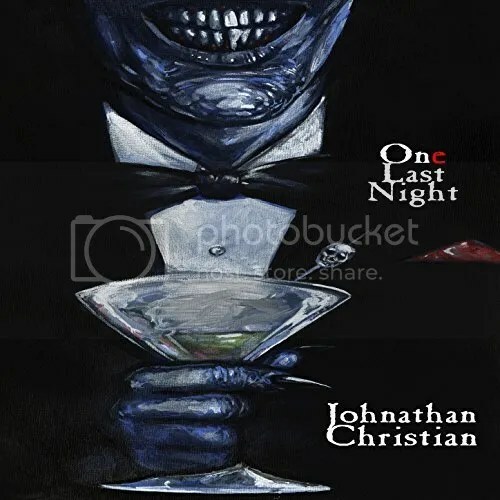 Johnathan Christian cite as influences for their new “One Last Night” single such legends of the death rock and gothic sound as Siouxsie & the Banshees, Joy Division, Blue for Two, David Bowie, Depeche Mode, and Christian Death. Fans of any or all of the above can expect much to appreciate in “One Last Night,” and if it’s any indication, in their forthcoming LP, too. “One Last Night” by Johnathan Christian and produced by Leæther Strip is available from over 700 quality music stores online worldwide now. Also watch for the “Dark Hallways” LP due out winter 2017. Get in early, fans of dark music everywhere. Very early.